Summerlin is next to the known Red Rock Canyon National Conservation Area. This 22,500-acre master-planned community offers open spaces, and great views of the Las Vegas Strip. On the western rim of the Las Vegas Valley, Summerlin is a development of The Howard Hughes Corporation and a master-planned perfection. Playfully connected by more than 150 miles of recognized trails the community offers a wealth of activities. Summerlin offers an abundance of amenities to create the community’s awesome quality. Hikers have the choice of more than a dozen trails and adventurous outings. Summerlin is home to over two-dozen schools, private schools and 12 public schools. 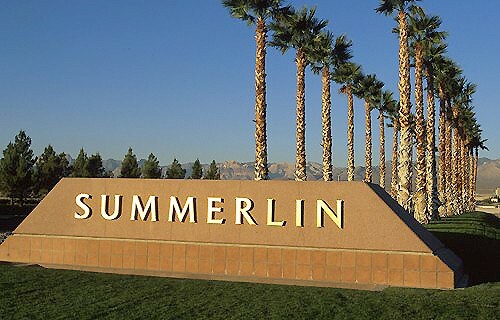 Summerlin’s many educational choices have an established track record of accomplishments. Summerlin residents have access to a world of options that are in Las Vegas. The parks and community centers provide a variety of recreational choices. Nearly a dozen special events, seasonal celebrations, and more are coordinated annually for those who call Summerlin home. Currently, Summerlin is home to seven public elementary schools, three public middle schools and two public high schools.